It’s been a long, long time since I’ve posted so many days in a row on the blog and I have to admit, I’m exhausted! But, it’s totally worth it because we’re up to day 11 of the 12 Days of Christmas Ornaments! Wow! 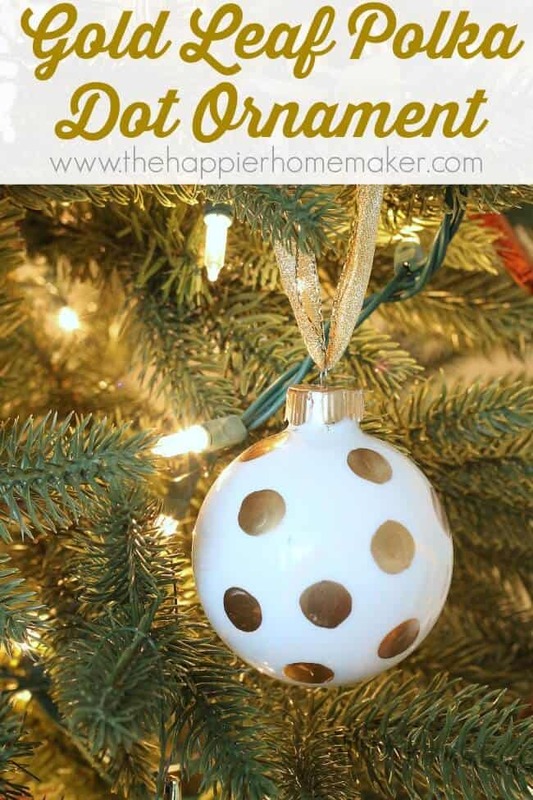 This Gold Leaf Polka Dot Ornament was actually the first project I did for the series but I’ve spent two weeks trying to get a good picture of it-it was trickier than it looks! 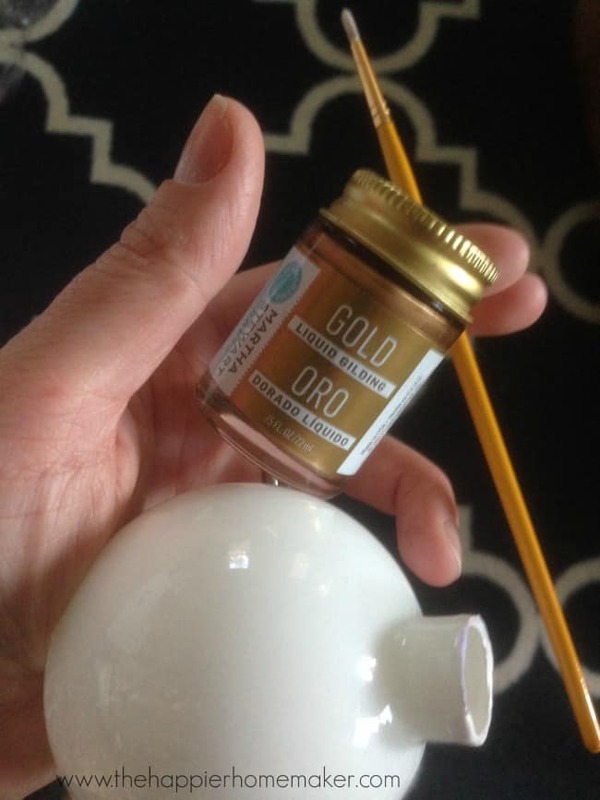 This is such a simple DIY ornament but it takes advantage of two of this year’s biggest trends-polka dots and gold!! This is soooo cute! I am such a polka dot fan! I love this so much! I think I’d like to do it with a metallic pink rather than a gold though. That wounds cute Michelle! I’d love to see a picture if you make one! I found this on pinterest and clicked on it right away. It’s so cute and girly, that it screams my name! 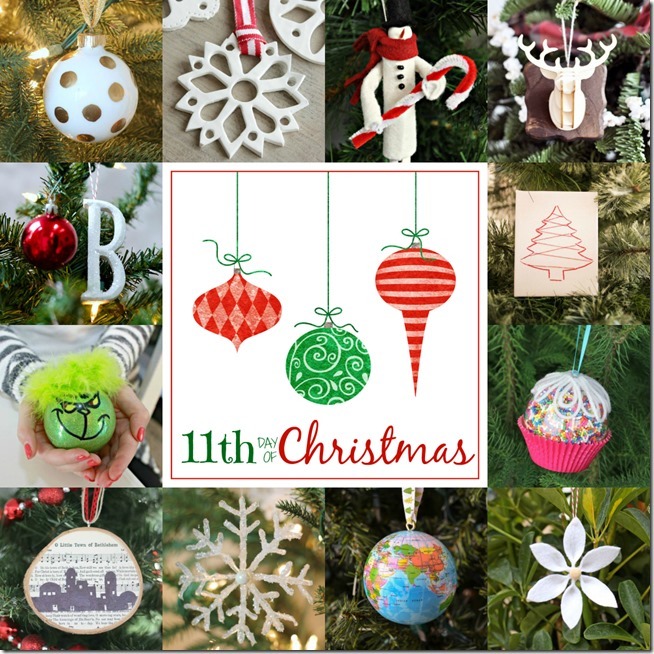 I’m going to make a dozen of these and decorate the Christmas tree with them this year! Thanks for sharing this idea!